The new Pee-wee Herman film, produced by Judd Apatow and star Paul Reubens, will be called Pee-wee's Big Holiday, streaming service Netflix has revealed. Production is due to start in March, and the film will premiere exclusively on the internet streaming service. Reubens and former Arrested Development story editor Paul Rust have written the script, which John Lee will direct. It will see Pee-wee inspired to take his first-ever holiday after a fateful meeting with a mysterious stranger. Netflix has called the film "an epic story of friendship and destiny" and a "passion project" of Reubens and Bridesmaids producer Apatow, a long-time fan of the Pee-wee character. "I am thrilled to have the opportunity to work with the brilliant Paul Reubens on this film," said Apatow. "It is a dream come true." Reubens created the character when he was part of Los Angeles improv group The Groundlings and had his first US television show in 1980. He has also starred in two feature films -1985's Pee-wee's Big Adventure, and Big Top Pee-wee in 1988. Reubens said he and Apatow "dreamt up this movie four years ago", when "the world was much different". "Netflix was waiting by the mailbox for red envelopes to arrive," he went on, referring to the company's origins as a postal DVD rental service. The US comedian resurrected his Pee-wee character In 2010 for a critically-acclaimed live show in Los Angeles and New York. "We didn't hesitate for a moment knowing that Pee-wee's Big Holiday was such a passion project for Paul and Judd," said Netflix's chief content officer Ted Sarandos. 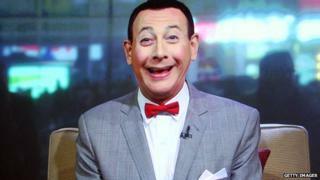 "We are thrilled to bring our viewers around the world the wonder of Pee-wee Herman."